Mumbai comes alive in Vaseem Khan’s character driven new detective series featuring recently retired policeman, Inspector Ashwin Chopra. 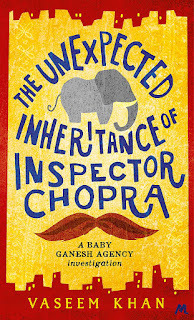 The novel opens on Chopra’s final day at work, a day he has been dreading, because he isn’t quite ready for retirement. A distraught mother from the poor part of town buttonholes the inspector, demanding justice for her murdered son, a case that has been written off as an accidental drowning. Chopra cannot leave the case alone, calling on favours from his friend the pathologist, and visiting the grieving family. 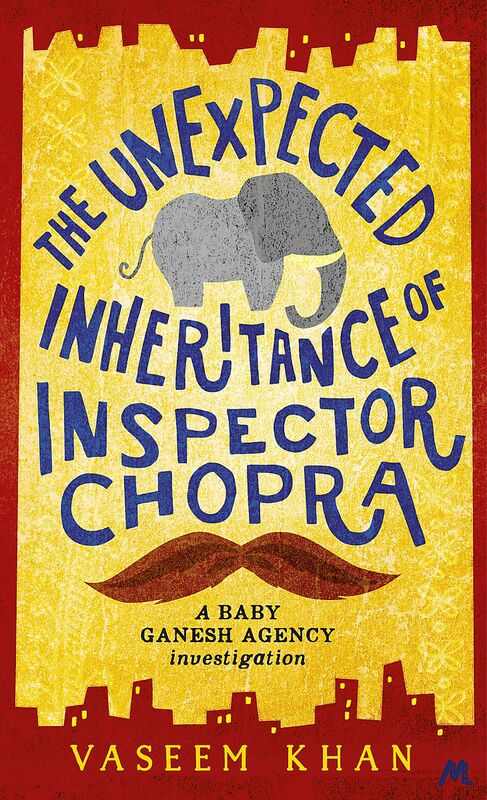 The young man’s diary throws up a few leads and soon Chopra is filling his spare hours running a surveillance operation with his team of one man plus an elephant. The elephant has been a problem, a gift from a much loved but slightly unusual uncle. But where in a Mumbai apartment block do you keep a baby elephant? And then there is the problem of Poppy, Chopra’s wife, who believes her husband’s absences from home indicate he is having an affair. This is a charming novel, the first in a new detective series that has plenty of promise with its vivid recreation of Mumbai, a soft-hearted but determined detective, and a glimpse of a criminal underbelly which gives the book a bit of grit. And you just can’t help feeling sorry for that baby elephant which, it turns out, will be a key player in bringing the criminals to justice. I can’t wait to see what the elephant will do in the fight against crime in Khan’s next book. Have you discovered a new author or particularly enjoyed a book, eBook or audiobook? Send us a review! Send us suggestions for book or other item purchases. Need help with finding an author or a title? Researching a topic and want help?